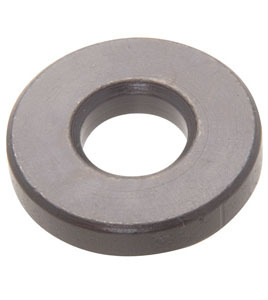 A thick Flat Washer used for spacing applications. These washers are manufactured on our screw machines - NOT stamped - with a large bevel on the outside edge. Chamfered outside edge speeds assembly and fitting operations.